Two games into the 162-game schedule and life in the Yankees Universe is fantastic. Okay, we’re not going to win every game and of course winning only 60% of the remaining games would be a stellar regular season but it’s fun to open the year with successive wins. The Opener was a perfect day for Yankees fans and new Manager Aaron Boone. 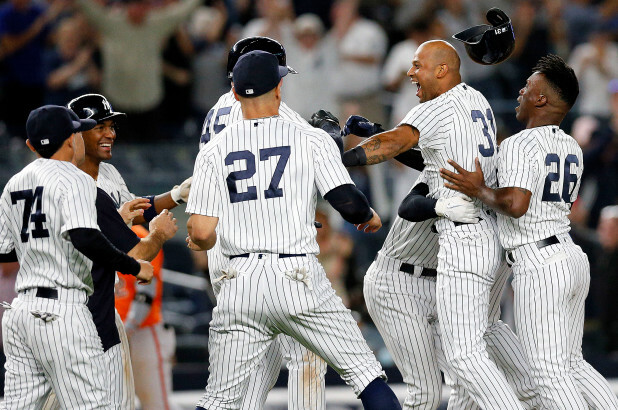 It couldn’t have been scripted better with the superior work of ace Luis Severino, the bullpen (particularly Chad Green with three strikeouts against the four batters he faced), and the bat of Giancarlo Stanton. Stanton’s two home runs were the talk of the game but it was a great team victory from top to bottom. The only blemish was the solo home run that Dellin Betances allowed to Kevin Pillar when he entered the game in the bottom of the 8th en route to the 6-1 victory over the Toronto Blue Jays. Yesterday’s game was a little tougher for Boone. The big guns (Aaron Judge, Stanton, and Gary Sanchez) were a combined 0-for-12 with four strikeouts, but in the end it did not really matter. Batting clean-up for the first time this season, Didi Gregorius was 2-for-3 with 2 runs scored on two extra-base hits. Getting thrown out at the plate with no outs was the only negative for an otherwise tremendous day for Sir Didi. The big bats belonged to the bottom of the order with the 8th and 9th hitters, Brandon Drury and Tyler Wade. Drury had two RBIs on a single and a double, while Wade had a two-run double. 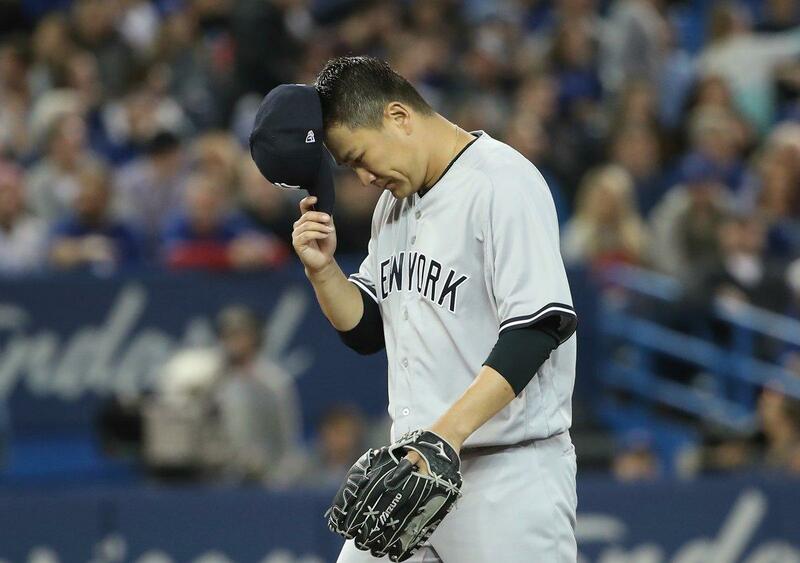 I groaned when Masahiro Tanaka gave up a home run (fortunately with the bases empty) to former St Louis Cardinal Randall Grichuk in the 2nd inning but it was only one of three hits Tanaka allowed over the course of 79 pitches and six innings of work. The Yankees won the game, 4-2, to earn no less than a split of the four-game series pending the outcome of the next two games in Toronto. What can you say about the debut performances of Luis Severino and Masahiro Tanaka? Collectively, they pitched 11 2/3 innings, allowing only 4 hits, one run, 3 walks, and 15 strikeouts. They’ve set the bar high for the rest of the starting rotation. I am sure that no one wants to be the first to implode. The bullpen has been outstanding, as usual and as expected, despite the homer Betances gave up or the run-scoring double Aroldis Chapman allowed last night. Both guys were able to finish the job without assistance and will no doubt prove to be their dominant selves for the course of the long season. Chad Green, Tommy Kahnle, and David Robertson showed why this is Baseball’s best bullpen. I am sure that Chasen Shreve, Adam Warren and Jonathan Holder are itching for their 2018 premieres and should take the mound today and/or tomorrow. This seems like so long ago. I enjoyed the Grandy Man and Martin during their time in Pinstripes but I am glad that they are Blue Jays today. Hopefully Sabathia picks up another win seven years later to the day. I am not going to read too much into a 2-0 start given that there are still 160 games to be played, but I am glad the Yankees are faring much better than the Los Angeles Dodgers. The Dodgers have opened the season by scoring no runs over 18 innings and have lost two heart-breaking 1-0 losses to one of baseball’s worst teams last season (the San Francisco Giants) on two solo homers by second baseman (and New York native) Joe Panik. While the Dodgers may not be “Paniking”, I’d rather be 2-0 than 0-2. Watching the Dodgers bat in the bottom of the 9th last evening showed how deep and special the Yankees lineup truly is. After the Giants had homered against Dodgers closer Kenley Jansen to take the lead in the scoreless battle, the Dodgers sent 39-year-old Chase Utley and Logan Forsythe to the plate in the bottom of the 9th for the rally attempt. Both Utley and Forsythe left their bats on their shoulders for called third strikes. Joc Pedersen, a good but inconsistent hitter, pinch hit for Jansen. He weakly popped up in foul territory to end the game. With no offense to the fine career Utley has had, I’d much rather have Brandon Drury and Tyler Wade at the bottom of the lineup any day of the week. It didn’t take too long for the Yankees depth to be tested. In a surprise move yesterday, the Yankees placed center fielder Aaron Hicks on the 10-day DL before the game with an intercostal muscle strain. Hicks was not happy with the move as he felt he’d be fine with a few days rest but the Yankees are notoriously conservative when it comes to potential injuries. It was a great story to see outfielder Billy McKinney get his unexpected Major League debut. He woke up in Tampa on Friday morning, thinking about the Scranton/Wilkes-Barre RailRiders season opener in a week, only to find out that he had a mid-day flight to Toronto to catch. By the end of the evening, he had collected his first Major League hit. I couldn’t help but think of Dustin Fowler’s horrific debut last year with the devastating knee injury, but the results were much better for McKinney. He was only 1-for-4 but it’s nice to get that first hit out of the way. He had a few good defensive plays in left as well. After the game, McKinney said that ball for the first hit would go to his parents. A very classy move by the 23-year-old. MLB.com’s Bryan Hoch posted an interesting stat that McKinney is only the second Yankee since 1956 to make his MLB debut in the starting lineup within the first two games of the season. The last Yankee do it was Hideki Matsui on this date in 2003, also in Toronto against the Blue Jays. Like McKinney, Matsui had a hit in four at-bats but Godzilla did knock in a run in a game that saw Rogers Clemens defeat former Blue Jays great Roy Halladay. McKinney’s stay with the big league club figures to be short. 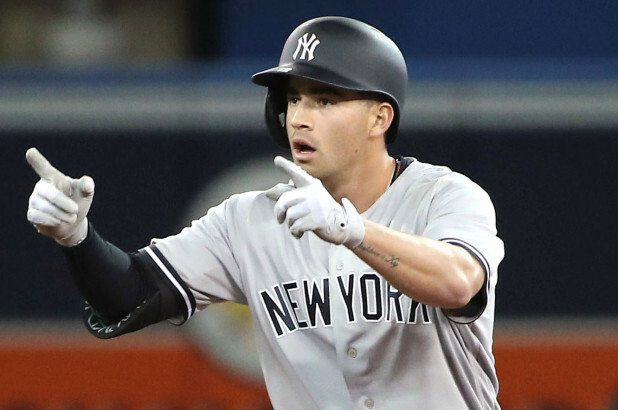 Jacoby Ellsbury is eligible to come off the DL next Thursday so it’s likely that McKinney will be playing in next Friday’s season opener for the RailRiders at PNC Field in Moosic, PA against the Syracuse Chiefs. But for now, McKinney gets to play and make an impression for our favorite team. It sure beats working out at Minor League Camp in Tampa. Welcome to the Show, Billy! For Yankees fans, like me, who had hoped Aaron Hicks would stay healthy for an entire season, it is not a great start. But at least it sounds like he’ll be able to return as soon as he is eligible. We’ll see. Hicks must prove he deserves our trust and support. As frustrated as I get with the health of Hicks, Jacoby Ellsbury, and Greg Bird, I feel badly for Toronto and their fans. Shortstop Troy Tulowitzki remains one of the game’s best but the guy can’t stay on the field. Every year, it’s something. The latest setback was this week when it was announced that Tulo would need surgery on both ankles to remove bone spurs. Very sad for the talented player who can’t seem to get or stay healthy. So, I guess the Yankees are not the only team to get Ellsbury’d on a routine basis. 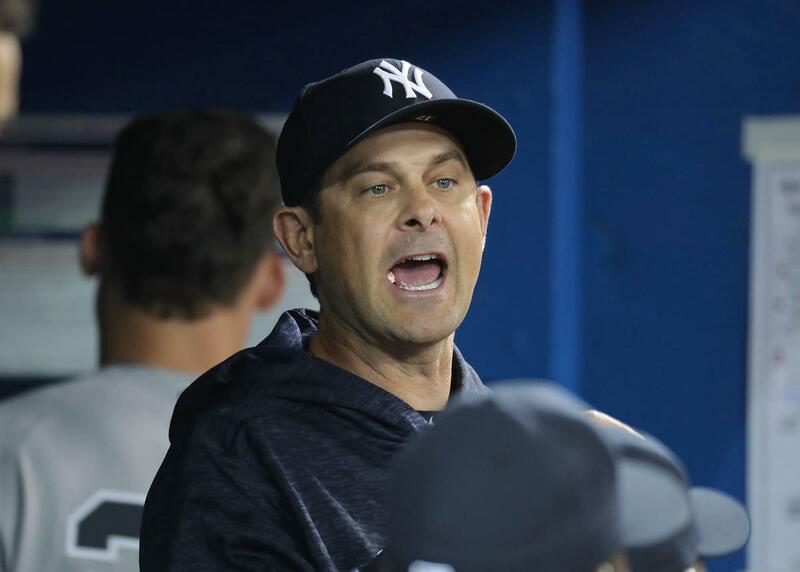 Great tweet by Brendan Kuty of NJ Advance Media this morning: “I mean, how do you bet against Aaron Boone? He’s never lost.” True statement. 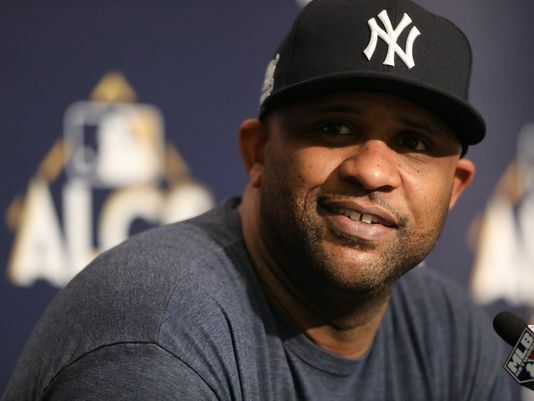 Today, CC Sabathia takes the mound against Blue Jays fan favorite Marco Estrada. I guess you could say that it is a battle of former Milwaukee Brewers. May the 6’6” left-hander and 2008 Brewer emerge victorious! The Yankees will be working out at Rogers Centre in Toronto, Canada today in preparation for tomorrow’s Opener against the Blue Jays. 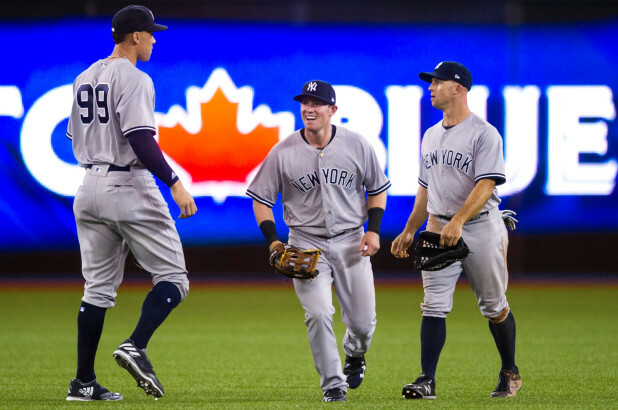 Tuesday was an off-day for the Yanks after they flew into Canada from Atlanta, GA on Monday evening. 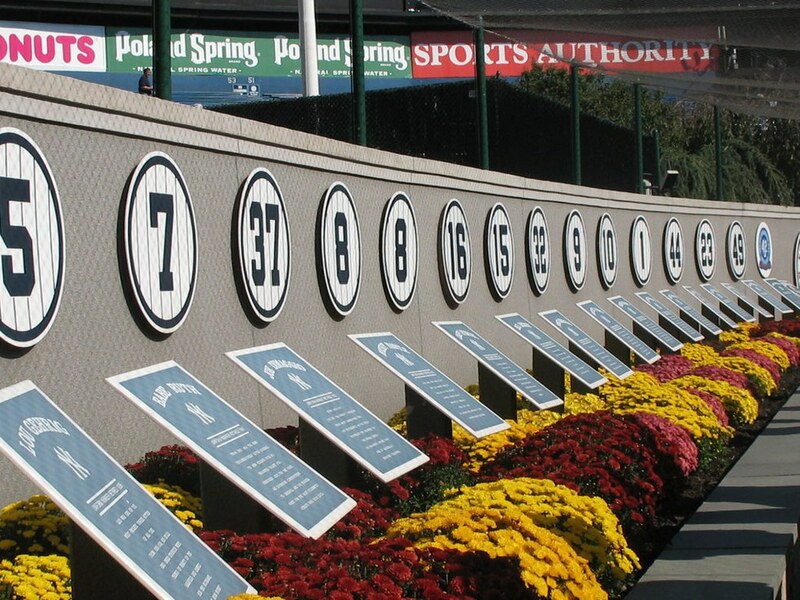 Soon, the 2018 Yankees will take the field for the first meaningful game of the year. Luis Severino versus J.A. Happ. It should be a terrific game! While the Yankees players, coaches and road crew were enjoying the sights and sounds of Toronto yesterday, the Blue Jays were completing their Spring schedule with an exhibition game in Montreal, Quebec against the St Louis Cardinals. In what may have been the greatest meaningless game finish ever, Vladimir Guerrero, Jr, son of Hall of Famer and former Montreal Expos great Vlad the Great, delivered a walk-off home run to beat the Cardinals at Olympic Stadium in front of 25,186 fans. Vlad Jr appropriately wore his father’s #27 as he circled the bases in the bottom of the 9th. It had to be one of the finest moments of training camp. Fortunately for the Yankees, Little Vlad is still a few years away from the Majors. I am sure that he’ll one day become a thorn in our side but gladly it won’t be this week. It was a very nice moment for the Blue Jays, the Guerreros, and the city of Montreal. I am not going to try and make any predictions for the upcoming season. Daniel Burch of The Greedy Pinstripes did an excellent job with his predictions over the past week so I’ll leave the season forecasts to him. Nevertheless, I do have one thought about his AL East prediction that has the Yankees winning the division by four games over the Boston Red Sox. I personally think the battle between the Red Sox and Yankees will be closer than four games by season’s end but I guess we’ll find out come October. J.D. Martinez will help the team’s offense and David Price and Rick Porcello will have much better years in the starting rotation. I have no reason to believe Boston will win fewer games than they did last year. Speaking of the Red Sox, Nick Cafardo of The Boston Globe voiced his displeasure on Twitter about the reference of a single Boston player as a Red Sock. Giancarlo Stanton is a Yankee and J.D. Martinez is a Red Sox? Sorry, that doesn’t work. Martinez is a Red Sock although Red Sux certainly works too. Former Yankee Robert Refsnyder seems to be on a mission to play for all five AL East teams. The latest victim for his services are the Tampa Bay Rays who acquired the former Yankees prospect from the Cleveland Indians yesterday for cash considerations. The Yankees had traded Refsnyder to the Blue Jays last summer but he was claimed on waivers by the Tribe during the off-season. It’s only a matter of time until Ref works his way through Baltimore to get to Beantown where I am sure that he’ll have a Hall of Fame career (um, probably not). Speaking of former Yankees, I don’t think there’s one more beloved than Oakland A’s center fielder Dustin Fowler. Yankees fans everywhere are pulling for the former Pinstriped prospect who blew out his knee last summer in Chicago during his Major League debut for the Yankees against the White Sox. Fowler has been in a battle all Spring with Boog Powell for the A’s starting job in center. A’s manager Bob Melvin has said that the starter will go down to the wire. We’re at the wire so I assume that we’ll soon find out if Fowler has won the job or if the 23-year-old will take a trip to Triple A to fine tune his offensive skills. An excellent defender, he batted .222/.245/.267 with .512 OPS in Cactus League play for the A’s with no homers and five RBIs. He struck out 13 times in 45 at-bats. Powell’s numbers are not much better but Fowler is younger (by two years) and would benefit more from a demotion to Nashville to play for the Sounds (once a Yankees farm team, by the way). Either way, I will be pulling for Fowler this year and I look forward to his MLB debut for the A’s, hoping for much better results than the last time he took the field during regular season play. The guys who cover the Yankees beat for NJ Advance Media (Randy Miller and Brendan Kuty) are fantastic at their jobs. Kuty posted the following prediction today on the NJ.com website which I absolutely love: “(Brandon) Drury, if healthy, stays the third base starter all year. 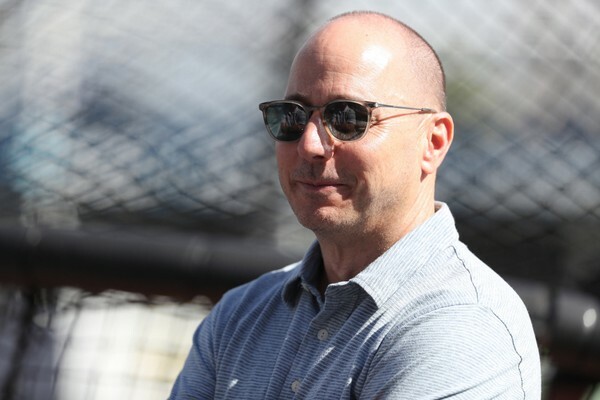 I’ve said it a billion times but I feel like that trade may end up like the Gregorius trade.” Admittedly, expecting Drury to perform like Didi has in Pinstripes is asking a lot, but I am a firm believer in Drury’s high ceiling and abilities and I think the Yankees will coax great years out of the player. I like his demeanor and his unbreakable focus on baseball. He may not be a comedian like Didi or as fun-loving (at least to the outside observer) as some of his teammates but I appreciate his dedication to becoming the best player he can be. I am a big fan of Drury regardless of how much I like Miguel Andujar. I think Drury is going to win over many fans in the upcoming days and months. Ken Davidoff has long been one of my favorite Yankees beat writers. Due to the crazy reduction of quality personnel in the newspaper business, Davidoff has found himself with The New York Post. He wrote a great article this morning about the inside story on how Aaron Boone became the manager of the New York Yankees. It is a very insightful piece and one that makes me even more excited that Boonie is the leader of Baseball’s greatest team. 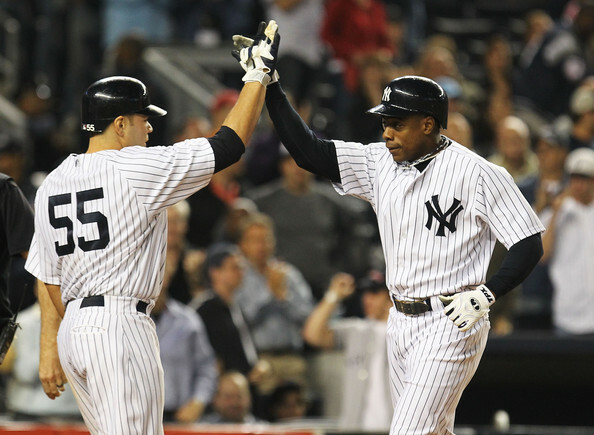 Who will hit the first home run for the Yankees this year? My pick is El Gary Sanchez. I think he’ll go yard before the massive bats of Aaron Judge and Giancarlo Stanton. Watch, one of the lighter hitters on the team like Tyler Wade will circle the bases first. Now that Dellin Betances seems to be rounding back into All-Star form, I am really excited about the potential of the Yankees bullpen. Dellin is the key to success. 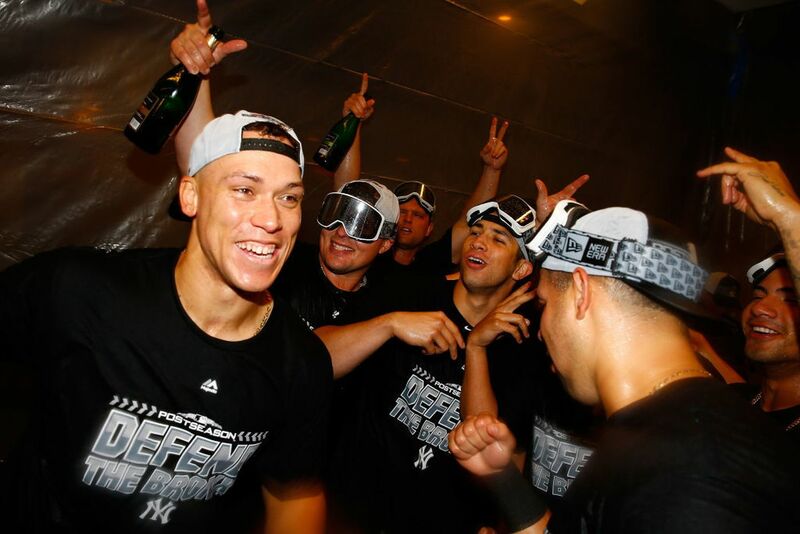 I think Aroldis Chapman, David Robertson, Tommy Kahnle, Chad Green and the rest of the crew will be perform to their usual superior levels but my biggest concern was Betances given how untrustworthy he had become late last season. I think we’ll see a much stronger and more consistent Chapman but I was fearful that continued control problems by Dellin would be the undoing of the bullpen. But based on his most recent performances, the old Dellin is back and ready for success. This is the single greatest factor in the bullpen, in my opinion. It is disappointing that Greg Bird will miss 6-8 weeks following ankle surgery yesterday to remove a coin-sized calcium deposit but it is what it is. I am not ready to pull the Nick Johnson card. I remain optimistic Bird will have a memorable 2018 season and will produce his share of home runs. In the interim, I am fine with the first base duo of Tyler Austin and Neil Walker. Austin has never truly been given a chance like this before so it’s his moment to shine. I am hopeful he grabs his opportunity to make his mark. As Yankees fans, we’ve had a few enjoyable days so far this Spring. Pitchers and Catchers reporting on February 13th and everybody else, including the great Giancarlo Stanton, showing up last weekend. We’ve already experienced our first newcomer of 2018 with the trade that brought Brandon Drury to Steinbrenner Field to work out with his favorite childhood baseball team. Stanton is not a “newcomer”, he’s been here since last year (okay, December but still, Drury was an Arizona Diamondback until a few days ago). Today represents the first exhibition game of the season when the Yankees face the Detroit Tigers this afternoon at Steinbrenner Field. The game will be televised by the YES Network at 1 pm Eastern so we’ll get our first true glimpse of the 2018 Yankees even if guys like Aaron Judge and Gary Sanchez won’t be playing. Stanton will be there and is sure to attract a huge ovation. Twitter is crazy place to follow Yankees baseball. There are so many fans that feel Drury is going to block Miguel Andujar and are upset about it. Personally, I don’t get it. The starter at third base on Opening Day will be the guy who earned it. Drury may have the leg up based on MLB experience, but Andujar can take the position with performance. I certainly have no problem with Andujar going back down to Triple A to further refine his defensive skills. For a team that is considered among the American League’s elite, there is no need to experiment with multiple rookies in the lineup. I’ve always liked Drury and his hard-nosed play. He strikes me as quiet but very focused and determined. Considering that he won’t turn 26 until August, his best years are ahead of him. I like his upside, and all things considered, I am pleased the way this turned out. Instead of overpaying Mike Moustakas (regardless of how much I liked his left-handed bat in Yankee Stadium) or signing a player in decline like Neil Walker, the Yankees brought in a high energy guy that will mesh well with the team’s youth. It’s worth checking out Drury’s play through YouTube. There are some great highlights shown including the time he crashed into the wall in right at Chase Field in Phoenix to record an out against the Yankees. It was good to see old friend Brian McCann as a Yankee in that clip. I really like the way Drury has embraced Pinstripes. His words echo how much he appreciates being a part of the team and his recognition that this can be a special team. He left a team that had a very successful season last year and continues to be one of the stronger young teams in the National League, yet I’ve heard no words of remorse. Many Yankees fans, at least on Twitter, have been livid that the Yankees traded outfielder Jabari Blash to the Los Angeles Angels for a player to be named later or cash because it basically represents no return for the deal that sent Chase Headley and Bryan Mitchell to the San Diego Padres. Nothing against Headley but the Yankees got the Padres to take his salary by including a pitcher that was at risk for losing his spot on the 40-man roster. I liked Mitchell but I think he stands a better chance for success in San Diego than he would have in the Bronx. Eliminating Headley’s contract has given the Yankees a genuine chance to reset the luxury tax penalties which meets Owner Hal Steinbrenner’s objective. If Hal is happy, I am happy. Blash was never going to be a difference-maker for the Yankees. He was an excess outfielder on a team filled with quality outfielders. He became a 40-man roster casualty candidate from the moment he joined the Yankees. Maybe he becomes a late bloomer with the Angels. That’s fine, he would have never gotten the opportunity with the Yankees. 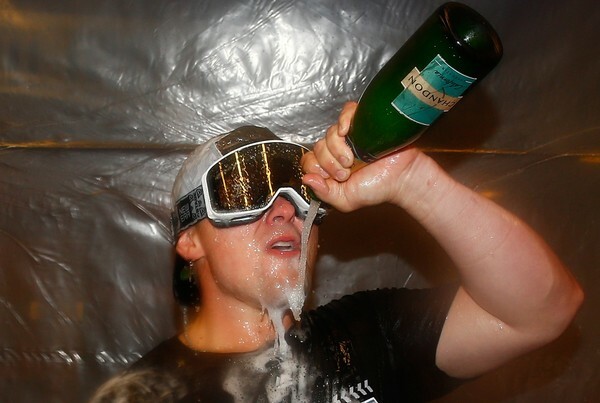 I remain convinced the Headley/Mitchell deal was a good one even if all it brought us was a box of Dunkin Donuts. Plus, I am glad that we have Brandon Drury (or Miguel Andujar) at third over Headley. Doc Medich was the starter and loser. Future, now former, Yankee Gaylord Perry was the winner for the Tribe. The Indians lineup included Oscar Gamble (a personal favorite who recently passed away), Frank Robinson, George Hendrick, Buddy Bell, and a former Yankee at catcher, John Ellis. Robinson and Boog Powell homered for the Indians in the victory. The Yankees didn’t pick up their first win until the fourth game of the season when Doc Medich’s turn in the rotation came up again. Medich was the winner in the Yankees’ 6-0 victory over the Detroit Tigers. It’s good to see these names again (at least for me) so pardon the self-indulgence with the trip down Memory Lane. The starting pitcher is Luis Cessa but also pitching today (thanks to Brendan Kuty of NJ.com) are Cale Coshow, J.P. Feyereisen, Giovanny Gallegos, David Hale, Ben Heller, Jonathan Holder (I wanted to type Kyle), Brady Lail, and Trevor Lane.